2019 Open Championship at Royal Portrush - Hotel, tickets and transfer packages. Book online today. 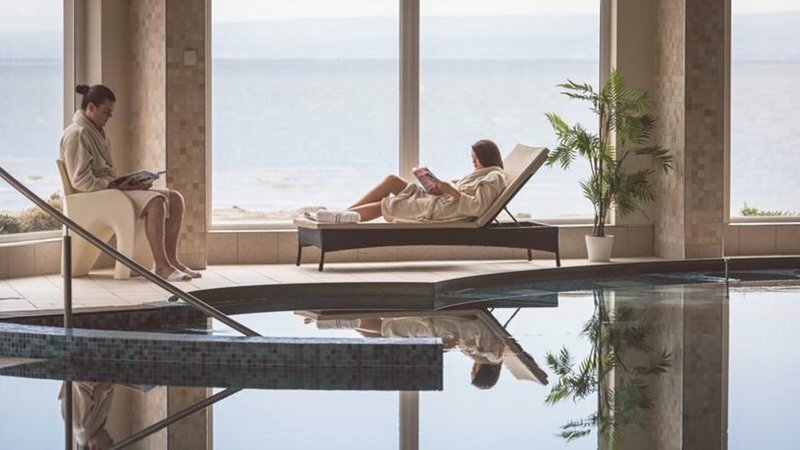 We are delighted to share our 2019 Open Packages based in Redcastle, a stunning area of County Donegal. This is a great base for your visit to The Open. The drive from Redcastle to Portrush is just over an hour including a short ferry. Excellent golf options at Castlerock and Ballyliffin will be arranged for clients wishing to include some links golf with their package. Links Golf Ireland is an authorized tour operator for the 148th Open at Royal Portrush Golf Club. We are offering packages inclusive of coach transportation, accommodation and official tickets to The Open. We will assist a la carte requests including hospitality, chauffeur transfers, car hire and tee times at excellent golf courses. Interesting fact: This hotel is where the cast and crew of The Last Jedi stayed during filming. 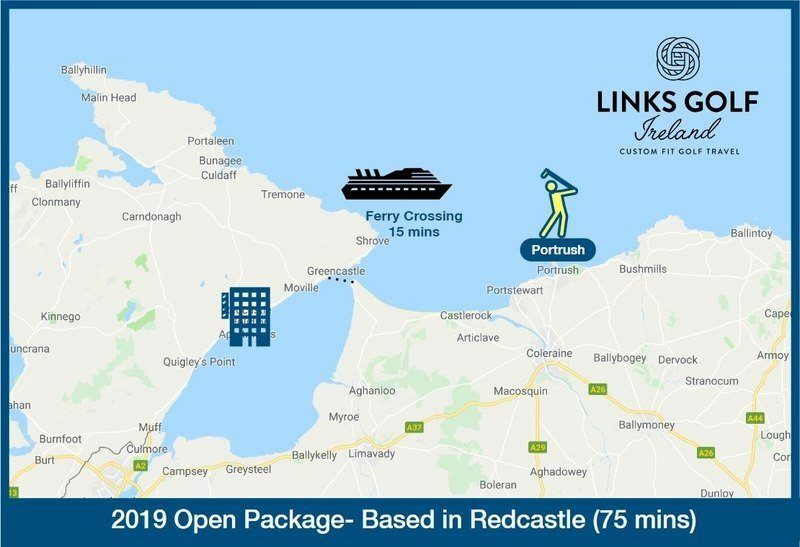 The Redcastle Hotel is an ideal base for the 2019 Open. Located close to a short ferry crossing, you will be approaching Royal Portrush from the east with considerably less traffic. 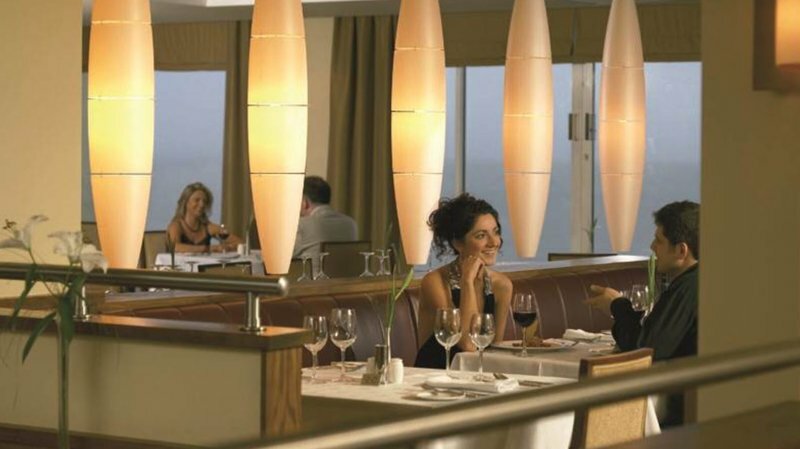 The hotel is a quality four star hotel located on the shores of Lough Foyle and close to excellent golf options and the historic city of Derry. All documentation will be emailed - There will be no physical shipping of tickets unless specifically requested for which a fee will be incurred. All tickets will be collected at the hotel where your package is based. 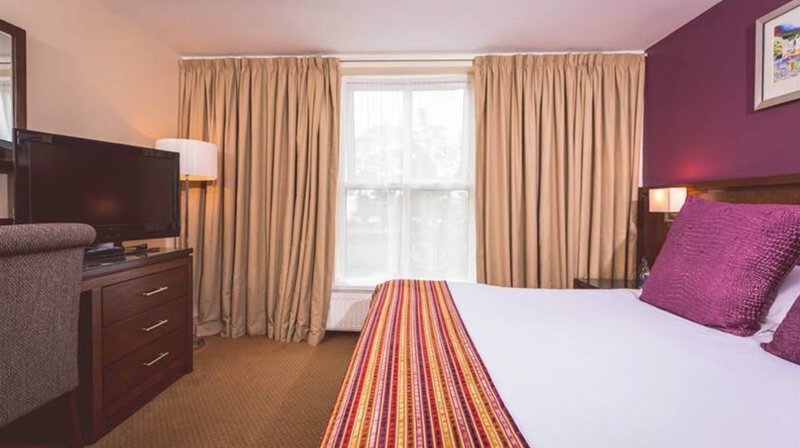 Standard twin or double rooms are included with the packages. Upon request upgraded rooms may be available offering Seaview, Superior and Suite options. A limited number of triple and family rooms are available on a first come, first served basis at additional cost. Each of our hotels will have two morning coaches departing at 07:00 and 08:45. The coaches will return from Portrush at 16:00 and 18:00. These times are subject to minor modification. Full payment is required on all Open Packages. Payment can be made by secure payment or by calling and speaking with one of our agents. Full terms and conditions will be provided in advance of booking. Should you require some flexibility with payment we can do our best to facilitate such an arrangement. Still undecided or looking to customize?